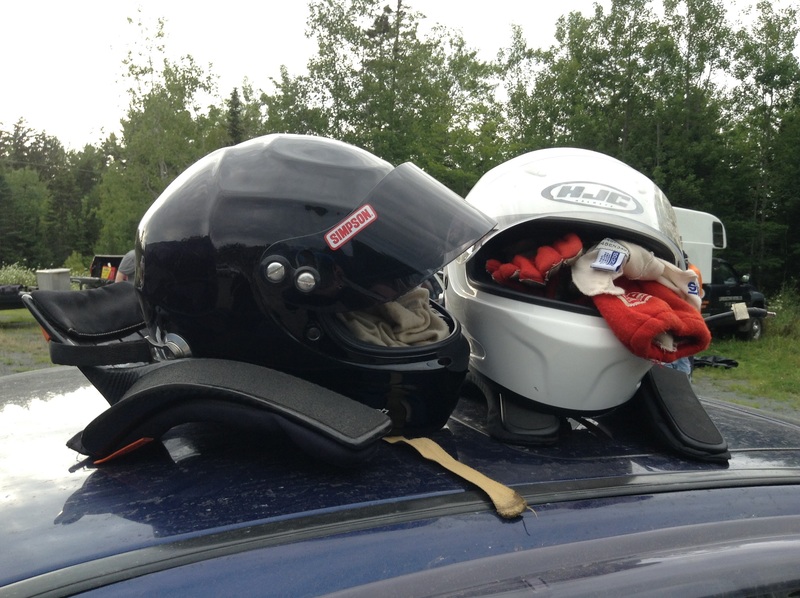 Rally East – The home of Rally in the Maritimes! Seems like most of my updates lately are about my lack of updates, remember that there’s a very active RallyEast social community on Facebook where we talk rally and current rally events both local and international. Head on over and have a look if you’re not part of the group already! In the meantime the Rally East events calendar has been updated with the dates for the 2018-2019 Bluenose Autosport Club‘s RallyCross series which got underway this past Sunday. All events are currently scheduled to take place in the Conrad Bros’ Quarry in Dartmouth this year but we hope to explore new lots or use the Atlantic Motorsport Park Back 40 as much possible this season. RallyCross is the cheapest form of high performance driving you can do! Find a cheap (but safe!) car, throw on the cheapest tires you can find and come get sideways! The calendar has also been updated with the provisional dates for the 2019 BAC Rally series which will take place over 3 Performance Rally events. The 2019 BAC Rally Championship will be bigger and better this year with new roads and bigger events. Whether you’re looking to volunteer, spectate or compete there’s a place for all rally fans! Check it out! Come out and see the 2018 Trout Lake Rally Cars and Teams! Join the Bluenose AutoSport Club on Saturday, October 13th as they host the 2018 Trout Lake Rally Car & Truck Show and community BBQ at the West Dalhousie Community Hall (657 Morse Rd, Bridgetown, Nova Scotia B0S 1C0). All proceeds of the BBQ go to support the West Dalhousie Community Hall. Meet local performance rally teams and check out their fully equipped rally cars. ALSO, check out the Backcountry 4X4 club as they show off some of their rigs used to sweep the rally course. This family-friendly event is suitable for all ages. Come on out, support your local community, and meet some local talent. Competitors: supplementary rules will be posted shortly, please refer to these for competitor-specific information. Keep an eye on the Facebook Event for up to date details! The 2018 Ledwidge Lookoff Rally is coming up soon! Are you ready for rally action? The 2018 Ledwidge Lookoff Rally takes place this August 11th and 12th! Come by Conrad Brother’s Quarry in Dartmouth, Nova Scotia on August 11th to meet all the rally teams and view the first stages of the rally from a prime elevated viewing location where you can see almost the entire competition from one location! For details check out the Ledwidge Lookoff Website and the Spectator Stages Facebook Event! See you there! Sorry, sorry. I’ve been slack in updating the website but there’s been lots on the go! Remember that there’s daily traffic on the RallyEast Facebook Group to keep up to date with fellow rally enthusiasts in the Maritimes and all over North America. In the meantime, here’s some quick tidbits! The 2017-2018 Bluenose Autosport Club RallyCross Championship ended up with a fight to the very finish for overall with every single run at the final event counting. After the dust settled the overall top 3 ended up as 1st: Devon Thorpe, 2nd: Michael Reese, 3rd: Alex Reid. Full Overall and Class results can be found on the Bluenose Autosport RallyCross page here. It was a great season and we look forward to more battles in the 2018-2019 championship returning in November! The second Navigational Rally of the year is coming up on May 20th, 2018 with the 2018 Bluenose Rally starting and ending in Windsor, Nova Scotia. Navigational rally is a great motorsport for everyone. All you need is a street legal car of any kind, a team (Driver/Co-Driver), a digital watch, clip board and a pencil! Novice classes will be provided for first timers before the event if you need some starting tips. For details about the event see the Facebook Event Page. Preparation is underway for the 2018 BAC Performance Rally series with Events in July, August and October. The 2018 Ledwidge Lookoff Rally will take place August 11th and 12th and be bigger and better than ever with brand new local cars and hopefully new challengers from away! You won’t want to miss it! Race the Base Halifax 2018 will be taking place on June 2nd featuring a Show and Shine, Drag Race and other competitions. Stop on by to see tons of mild and wild Street, Race and Rally cars! We’ll be out flying the Rally East colors, be sure to say Hi! Lots on the go and I’ll be sure to keep you updated in all the Rally goings on in the Maritimes. See you in the dirt! Rally rally rally! The first event of the 2018 Canadian Rally Championship calendar kicks off this weekend on the snowy and icy roads of Maniwaki, Quebec for the 53rd running of the Rallye Perce-Neige Maniwaki! Local competitors Maxime Méconse and Cindy McCarron are on their way to La Belle Province with their newly wrapped Subaru WRX to challenge Max’s home roads. Other Rally East regulars Chris Greenhouse and Vincent Trudel will also be present among the 34 total entries at the time of this posting. Good luck, all! For all the event details check out the Rallye Perce-Neige Makiwaki Website and keep track of the cars in real time using the event tracking at live.cdnrally.com! The Bluenose Autosport Club‘s 2017-2018 RallyCross Championship also continues this weekend, with 4 events down and 4 more to go! The new location at Conrad Bros Ltd’s Quarry has proven to be great for surface variety with soft loose gravel, frozen lakes, hard frozen high traction surfaces and icy snow, sometimes all on the same stage! Come on out to test your skills and your hardware! Check the Event Calendar for more info! Check out this teaser video by Midnite Media who were on hand at Event #4 to shoot the action! Amazing work and we can’t wait to see more from these talented filmmakers. After over a year of anticipation and cancellation due to road conditions the BAC Musquodobit Midwinter Navigational Rally! 13 teams ran the event through Enfield and the surrounding back roads of Nova Scotia and by all accounts it was a fun and challenging event. Full results will be available soon on the Bluenose Autosport Club‘s website. Check here and on the Events Calendar for future Navigational Rally events! The 2017-2018 Bluenose Autosport Club’s RallyCross Championship starts in just a few weeks, are you ready?? This season will be a little different with some forced venue changes thrust upon us by our friends at Volkswagen and their… questionable engineering choices. Our regular lot at Scotia Speed World is going to be the home of dozens of Diesels resting sadly for the entire winter awaiting their fate. Thankfully we’ve received some generous support from long time Ledwidge Lookoff Rally sponsors Conrad Brothers Ltd, allowing us to use their Quarry in Dartmouth for the season. The full calendar of events is below. Please read the Supplemental Regulations for these events closely (Available Here) as this venue requires some changes from how we normally run events. Specifically, the major changes are that we unfortunately can’t allow general spectators due to the nature of the property. Secondly there will be noise restrictions in place due to the proximity of residential development nearby. Please ensure your RallyCross vehicle has some sort of functional muffler. Its going to be a great season with new cars, the return of the unofficial Spec Yaris/SpEcho Championship and some super fun surfaces in the Quarry! Those who have been RallyCrossing for a few years know that we’ve occasionally done some RallyCross events in the ‘Back 40’ at Atlantic Motorsport Park in Shubenacadie. This field can be very fun given the correct conditions but often can be quite rough if mistreated. A work party has been organized for Saturday, November 4th at 9am to work on the Back 40 in hopes of making it usable for at least some of the events in 2018 after the ground freezes and hopefully with some snow. All are welcome to help out, bring your gloves and whatever earth/rock moving tools you might have! The end of the calendar year also brings the ARMS Annual General Meeting, taking place on November 18-19th at the Hampton Inn located in the Truro Power Centre. The AGM is where the previous competition year gets reviewed, organizational matters discussed and regional rule changes and plans get made for 2018 as well as determining the overall event calendar for next year. Of special note for Rally East readers is the ARMS Rally Workshop which will take place on Saturday. Details about the AGM can be found on the ARMS Forum here. The final event of the BAC Rally Championship took place in October with a return to the rocky roads around Trout Lake in Middleton, Nova Scotia. Six teams challenged the newly extended 15km stages with which proved challenging and exciting for everyone. The team of Jonathan Conrad and Waybe Pitts emerged victorious with Maxime Méconse and Cindy McCarron close at their heels and Ian Pearce landing 3rd with Substitute Co-Driver Daphne Sleigh. Full results available here. Its been a great Rally season and we look forward to a bigger, better and faster 2018! Rally Rally Rally! Fall is on its way and Rally excitement continues. There’s a full slate of events coming up in the next few weeks for all levels of rally interest! The end of summer brings two Navigational Rally events this summer. First up is the Sunset Sortie Rally, taking place on September 30th and organized by Jim Theriault and Sonia Meadows. This evening event starts and ends in Windsor and will provide both Novice and Experienced crews a challenge across 195km of paved and unpaved roads throughout the area. Supplementary regulations with all the details can be found here. Following soon after on October 1st, experienced Rally Master James ‘Pidge’ Partridge will be organizing a ‘Fun’ rally, also starting and ending in Windsor. This event is intended for all audiences and will take place on all paved roads using simple instructions to provide the maximum accessibility. If you’re just looking to get an idea for what Navigational rally is all about give this event a shot! Details can be found here. The season isn’t over yet in the land of Performance Rally! Following a very successful Ledwidge Lookoff Rally the 2017 Bluenose Autosport Rally Championship series will be capped off on October 15th with the annual Trout Lake event in Middleton, Nova Scotia. This year’s Trout Lake event is bigger and better than ever coming as a full Regional event with 95 stage kilometers! Supplementary Regulations can be found here and if you want to help out at the event volunteers are always welcome! The East Coast Subaru Club’s annual Fall Rumble Show and Cruise will take place this Saturday, September 23rd at the Canadian Tire in Bedford, Nova Scotia. Last year’s event brought hundreds of Subarus out with giveaways from vendors and sponsors with proceeds and donations going to charity. Several Rally cars and other motorsport representation will be on hand so come on out and see the biggest display of AWD cars in the Maritimes! Keep an eye out here and on the RallyEast Facebook Group for updates about these and upcoming events! Rally Rally Rally! The Ledwidge Lookoff Rally is this weekend! The Ledwidge Lookoff Rally, the biggest event in our region is this Saturday and Sunday, August 19th and 20th! 12 teams from Nova Scotia, Quebec, Ontario, Newfoundland and the Turks and Caicos will take to the stages with spectator stages and special ‘Ride with a Rally Driver’ charity promotion on Saturday night at Conrad Bros Quarry in Dartmouth! After the Spectator stages cars will head off to the Noel shore on Sunday and compete on the best roads in our region! For all the details see the Ledwidge Lookoff website and Facebook group!